I’ve been replaying Halo 4 recently, and while I’ve really enjoyed it, I also thought about what was missing in 343 Industries first go at the Halo saga. Things that Bungie really got right most of the time. So here are five points I think 343i should pick up on. Press X to activate light bridge. There was a lot of button pushing in Halo 4. The level design became very predictable at points, even textbook. There’s a section where you have to start two energy sources to activate a Cartographer. Sounds cool, but you just run around a room pressing buttons. So less filler next time. There was button pressing in previous games, but since they weren’t everywhere, it was much less obvious it was going to happen. Until its surface is but glass! Give the Covenant a purpose. Bungie did a great job of giving your enemy a reason to be doing what they do. I loved Halo 2’s Arbiter story (perhaps bring him back in 5?). In Halo 4, the Covenant just showed up and started shooting. “A lot can happen in four years” says Cortana. What happened? We need more info on this new Prophet-less Covenant in Halo 5. Dum ba dum, dum duuuuuum. The music in Bungie’s Halo was the best. I’m very biased but I just think it was fantastic. Neil Davidge tried, but it was so lame in comparison. 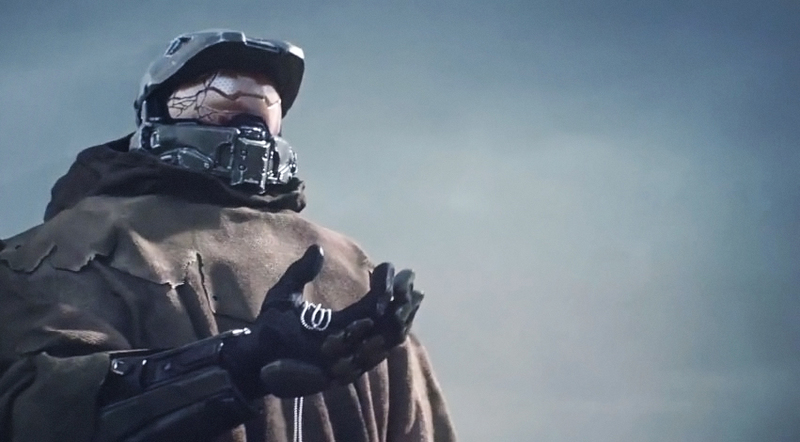 I’m very shocked and saddened to hear Marty O’Donnell has been terminated at Bungie, but perhaps get him back on board for the next Halo at 343. The music brings so much epicness to the game, and it makes each scene really memorable. In past Halo games, it left you enough time with the marines to grow a bit attached to them. I wanted to keep them alive on my tank, through the streets, and especially on Halo 2’s gondolas. In Halo 4 they were just there. They made a few quips, but you normally never stopped to hear them. Missions in the next Halo should consider the marines with more importance. The introduction of Promethean weapons in Halo 4 was alight. But they were just repeats of weapons we already have. The Incineration Cannon was pretty cool. And does anyone actually know what the pulse grenade does? Each previous iteration introduced some fantastic weapons. The system makes sense and has a purpose. Human weapons do more base health damage, Covenant weapons do more shield damage. Perhaps they could go the Mass Effect route and have the Promethean class of weapons deal more damage to armour. And while I’m here, please get rid of the Storm Rifle and replace it with the Plasma Repeater, k thnx bye.